Although it seems most cryptocurrencies are in a bit of a lull right now, there is still plenty of reason to be cautiously optimistic. Especially the Dogecoin price watchers will not necessarily be too bothered with the way things are going as of right now. It is certainly possible things will turn bearish again fairly soon, although the current momentum isn’t half bad. A lot of different opinions circulate on the internet where Dogecoin is concerned. More specifically, it would appear the project has attracted both enthusiasts and absolute haters over the years. It is far from a Bitcoin competitor, yet Dogecoin is still successful in its own regard. That is part of the reason why this project remains in the market cap top 25 without too many problems. Over the past 24 hours, the Dogecoin price has seen a minor increase in both USD and BTC value. Neither development is extremely spectacular, although it does confirm there is still a lot of positivity where this project is concerned. 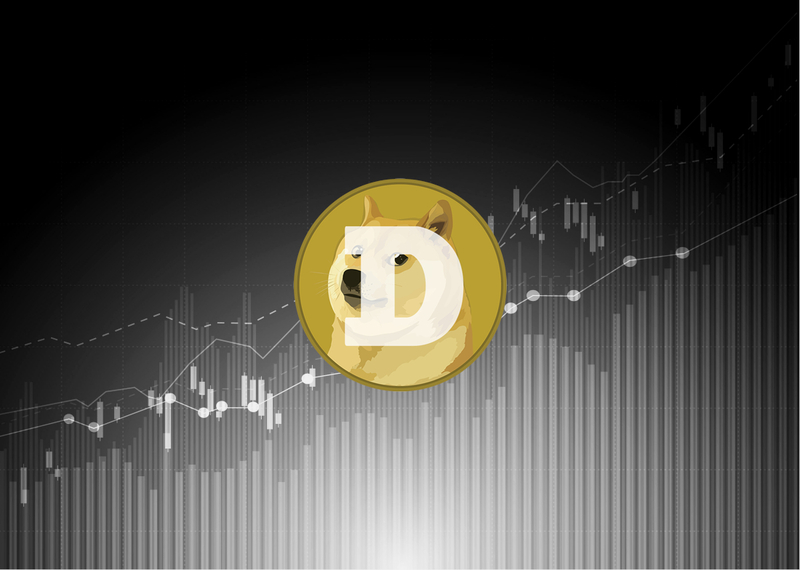 Although Dogecoin struggles to retake the $0.002 level again – or 60 Satoshi – these small gains pave the way for potential future gains. Whether or not they will be realized, is a different matter altogether. On social media, there is never a shortage of any positive attitude toward Dogecoin. An interesting discussion is taking place on Reddit which revolves around Dogecoin’s current and future market cap. Some users remain adamant DOGE will return tot he top 5 by market cap again. To do so, the project will need to see a ten-fold increase in overall value, assuming the other currencies don’t rise in value. A lofty goal which may not be realized anytime soon. Do you guys think Dogecoin can again be one of the top 5 cryptos? Are we losing tracks? via /r/dogecoin https://t.co/Y1KTJ9WttY hot in #reddit #dogecoin #doge #crypto much wow! There is also a very interesting comment from Shibatoshi Dogomoto, who attempts to redefine the way the word “scam” is being used. Although he is convinced Dogecoin is a scam, it is in a very different tone than one would expect at this time. A “Success Coin Approaching Moon” can also apply to the “scam” acronym, although it creates a completely different conversation in the process. A remarkable effort which can point toward a new era dawning upon the cryptocurrency industry. #Dogecoin is a SCAM: Successful Coin Approaching Moon. Last but not least, every day is a bit more enjoyable when good memes make the rounds on Twitter. If there is one thing the Dogecoin community is well-known for, it is their constant influx of new memes which tend to make a lasting impression. NASCARIndycar48 shared a meme of the “Dogecar” surpassing some of its competitors at high speed. It also has a Dogecoin head sticking out of the side of the car, which is perhaps even more entertaining. When keeping all of this information in mind, it still doesn’t become more clear whether or not the current value can be sustained for much longer. The hourly candles for Bitcoin and top altcoins look incredibly bearish again, which can easily send the other markets in a negative spiral as well. For the time being, cautious optimism appears warranted, but there is no reason to expect any short-term miracles either. The post Dogecoin Price Moves up Slightly as Community Tries to Redefine “Scam” Allegations appeared first on NullTX. « Previous Article Grin Falls Below $7: Could it Recover?